Learning is important, but so is fun, and the Engineering for Kids sessions create a nice balance between the two. Activities are high interest, couching STEM concepts within engaging contexts, such as travel to Mars, or survival, or just, well, fun stuff. The camp makes good use of local resources, and the multiple locations are a plus. 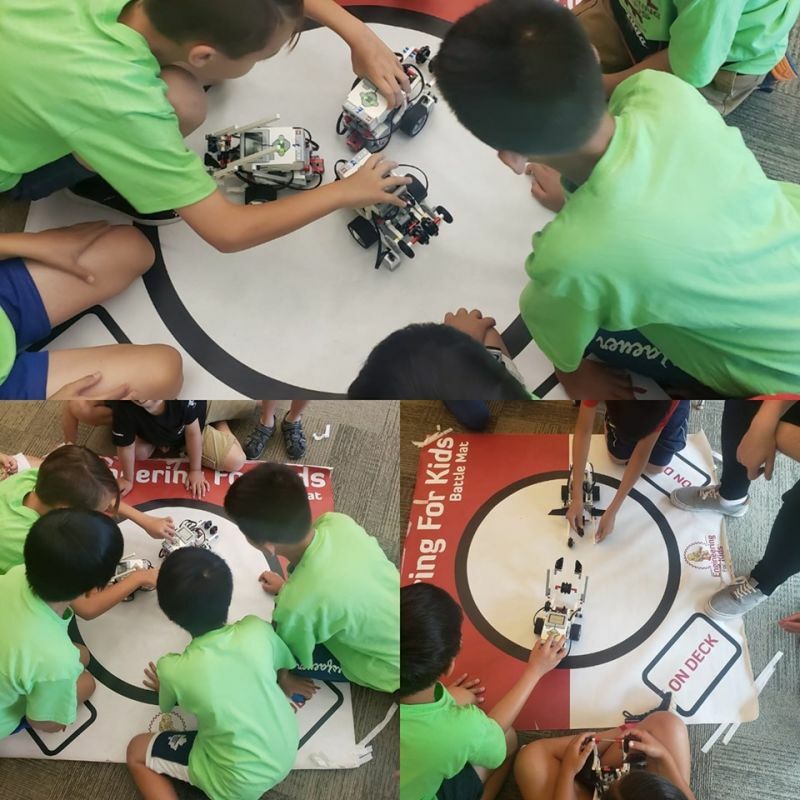 Campers are given a chance to indulge their interests with others of a like mind, all centered around programming that includes lots of exciting pops and bangs. They learn something, and grow their facility with key curricular concepts, though it’s the fun of the sessions, and the friendships grown there, that they’ll think of first. My name is Ayda Jawadi and I am the owner and operator of Engineering For Kids of Toronto- York Region. Having an engineering background and over 10 years experience, also being mom of two lovely and smart children,made me choose Engineering For Kids as my career that complements our well designed kids education system. Engineering For Kids is a solid youth education franchise system that teaches principals of engineering to our little engineers. We have the passion to educate children about their future and their career . Our goal at Engineering For Kids is the Career awareness at early ages so children find their passion and follow it to the right direction. We are proud to inspire the next generation of engineers! March Break Camp ( March 11- 15, 2019) Now Open at the Town Of Aurora! Interested in Engineering For Kids York Region?